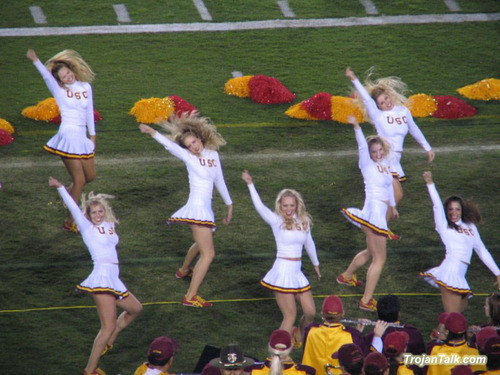 cheerleaders as much as the USC football team. Check out TrojanTalk.com. i felt the trojans were going to lose with booty at quarterback he is to predictable he is always hitting the check off reciever scared to throw long. it was a matter of time. i know what your going to say look what he through for the other day. i’ll say to little to late in a losing cause. its time to put in sanchez or we will lose again.